Can I share a little secret with you? 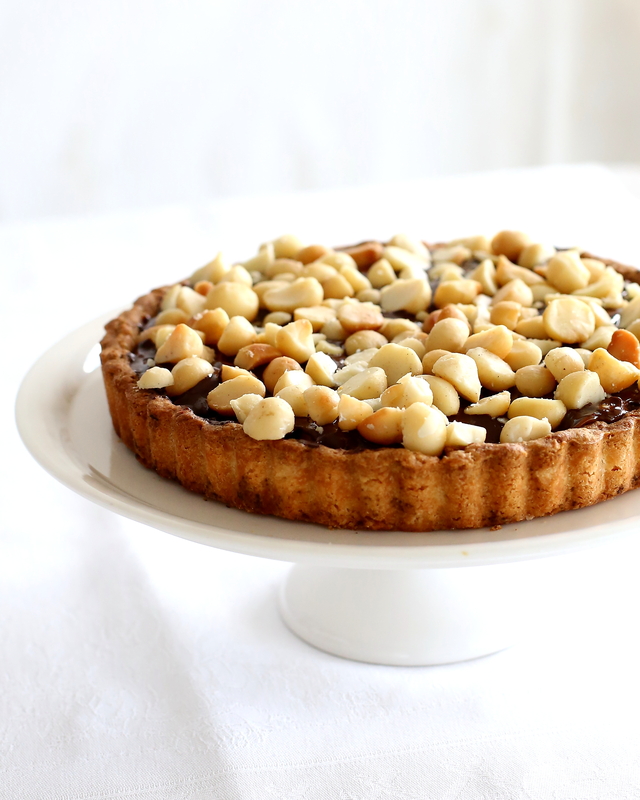 This tart was so delicious – rich, sweet, nutty, chocolaty, and with gooey caramel – yet is was so easy to make all because I took a few little shortcuts. These were shortcuts which saved time but didn’t compromise on flavour. I was able to serve a delicious dessert without much effort! Win, win for everyone! So I will tell you what I did, step by step …. I happened to have some rich sweet shortcrust pastry lingering in my freezer. And not just pastry, it was already rolled and lined in a 20cm (8 inch) pastry case. All I had to do was take the pastry out of the freezer, remove the plastic and blind bake it. 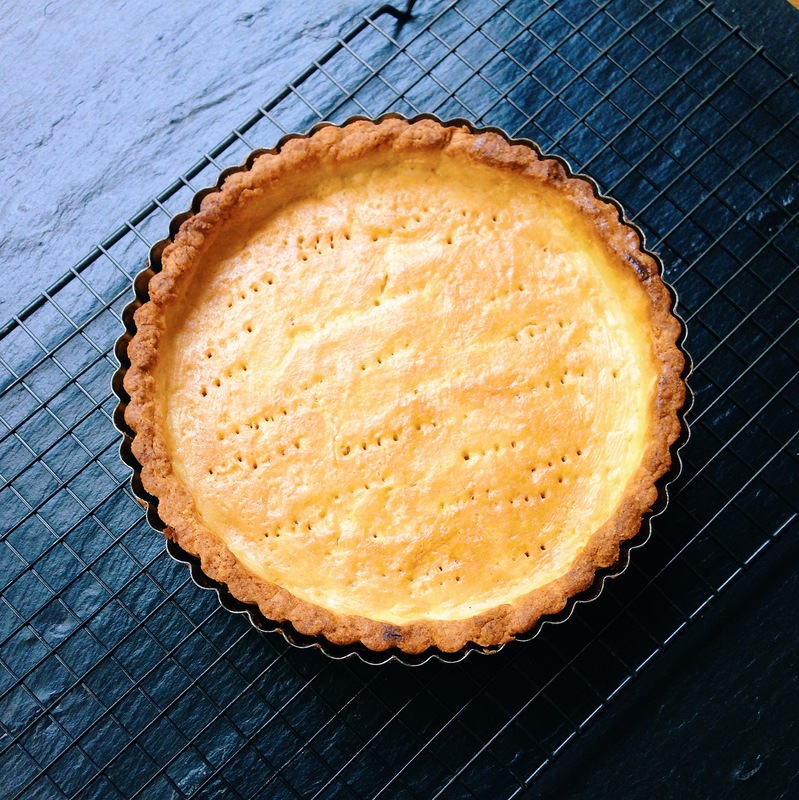 The recipe I used to make this pastry is the one I used for the Strawberries & Cream Tart. If you don’t have pastry in your freezer, and you don’t time have the time, skill, or will to make some then buy a pastry case from the supermarket or a bakery. 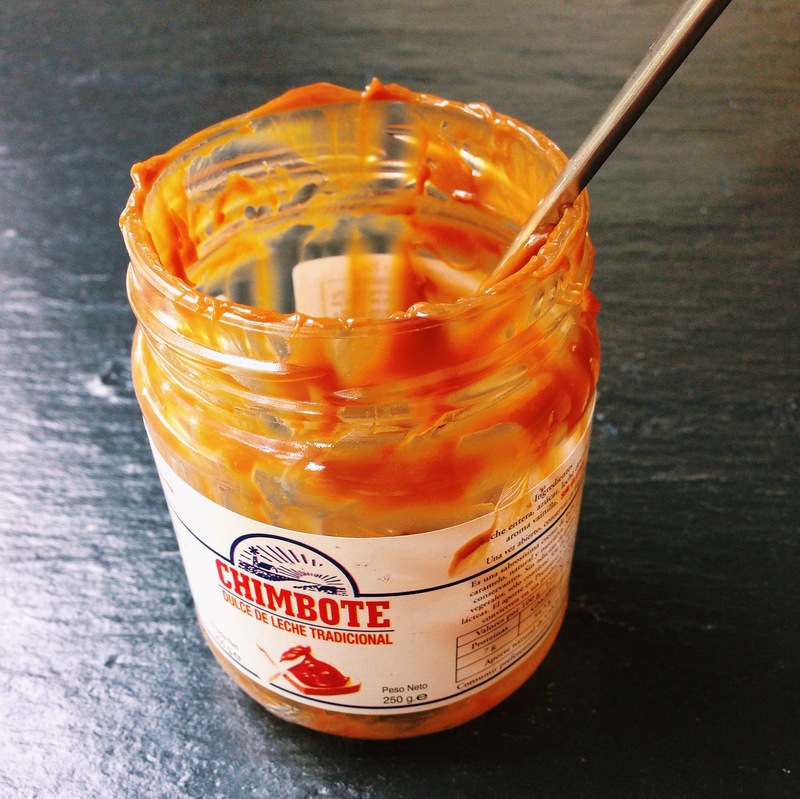 For the filling I opened a jar of some posh shop-bought dulce de leche. Once the pastry case had cooled I simply spooned in the caramel. I used the entire 250g (1 cup) jar. I broke up a 100g (3oz) bar of dark chocolate into small pieces, placed it in a bowl and heated it in the microwave until it was just melted. I spread the melted chocolate over the caramel. I place these on a tray and roasted them in the oven on the lower shelf while the pastry case was baking. The macadamia nuts don’t take as long as the pastry case so careful monitoring is required! I sprinkled the nuts over the chocolate. And that’s it! A stunningly simple, yet delicious, dessert! Posted in Pastry, Pies & Tarts, UncategorizedBookmark the permalink. I saw this and instantly started swooning. You have such a talent for desserts. They all look SO good.